Robert Allen Labonte was born on the 8th May 1964, in Corpus Christi, Texas USA, and is a professional stock car racing driver, best known as a 2000 NASCAR Winston Cup Series champion, but he has also won the 1995 Coca-Cola 600, 2000 Brickyard 400, 2000 Southern 500, and 2001 IROC. Labonte’s career started in 1980. Have you ever wondered how rich Bobby Labonte is, as of early 2017? According to authoritative sources, it has been estimated that Labonte’s net worth is as high as $45 million, an amount earned largely through his successful pro racing career. In addition, Labonte also had numerous sponsorships and owned his own car, which improved his wealth too. Bobby Labonte grew up in Texas, and started driving quarter midgets when he was five and continued competing in that category until 1977, winning on many occasions. In 1978, his family moved to North Carolina, and in 1980, Bobby debuted in the NASCAR International Sedan Series in Atlanta, Georgia. He matriculated from Trinity High School, and then worked as a fabricator on his brother Terry Labonte’s cars. Bobby debuted in the Busch Series in 1982 at Martinsville Speedway, and finished 30th, earning only $220, but he returned in 1985 and finished in the 17th position. In 1987, Labonte drove at Caraway Speedway and won 12 races, which helped him clinch the track championship as well as improving his net worth significantly. In 1988, Bobby competed at Concord Motorsports Park and recorded six victories, earning enough money to compete in the Busch Series full-time. In 1990, Labonte drove the No. 44 Oldsmobile and recorded two pole positions at Bristol Motor Speedway, ending the season in fourth place and earning the title of the Busch Series’ “Most Popular Driver.” The next season, Bobby won his first Busch Series race at Bristol, and the following August, he won at O’Reilly Raceway Park. In 1992, Labonte secured three wins; at Lanier, Hickory, and Martinsville, but lost the title race after finishing second behind Joe Nemechek by only three points. Bill Davis Racing called Bobby to drive for them in the Winston Cup Series and he appeared twice at the Daytona 500, finishing 20th in 1993 and 16th in 1994. He moved to Joe Gibbs Racing in 1995, and stayed there until 2005, recording his best results while driving Pontiacs; he ended second in 1998 including having a pole position, and then finished sixth in 2000. From 2002 to 2005, Labonte drove Chevrolet before switching to Petty Enterprises, where he drove Dodge from 2006 to 2008. Bobby then changed teams as he moved to the Hall of Fame Racing in 2009, and TRG Motorsports in 2010, while in 2011 he joined the JTG Daugherty Racing and secured fourth place, driving Toyota at the Daytona 500. In 2014, Bobby drove Chevrolet for the HScott Motorsports and finished 15th, while most recently he competed for Go Fas Racing, but after the 2016 season, he announced that he would not. Since early 2014, Labonte has worked as a reporter for NASCAR America on NBCSN. Regarding his personal life, Bobby Labonte has been married to Donna since 1991, and has two children with her. They currently live in Trinity, North Carolina. Place Of Birth Corpus Christi, Texas, U.S.
1 Winner of the 2000 Brickyard 400. 2 Uncle of Nascar driver Justin Labonte. 3 1991 Nascar Busch Series Champion. 4 Brother of 2-time Nascar Winston Cup Series Champion Terry Labonte. 5 2000 Nascar Winston Cup Series Champion. 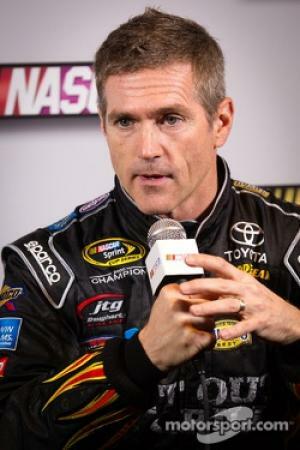 $45 Million 1964 1964-5-8 Actor Bobby Labonte Net Worth Corpus Christi May 8 Robert Alan Labonte Taurus Texas U.S.